Free printable pocket map of the Monteverde region from Santa Elena to the cloud forest reserve featuring hotels, resorts and lodges with approximate price ranges for each. 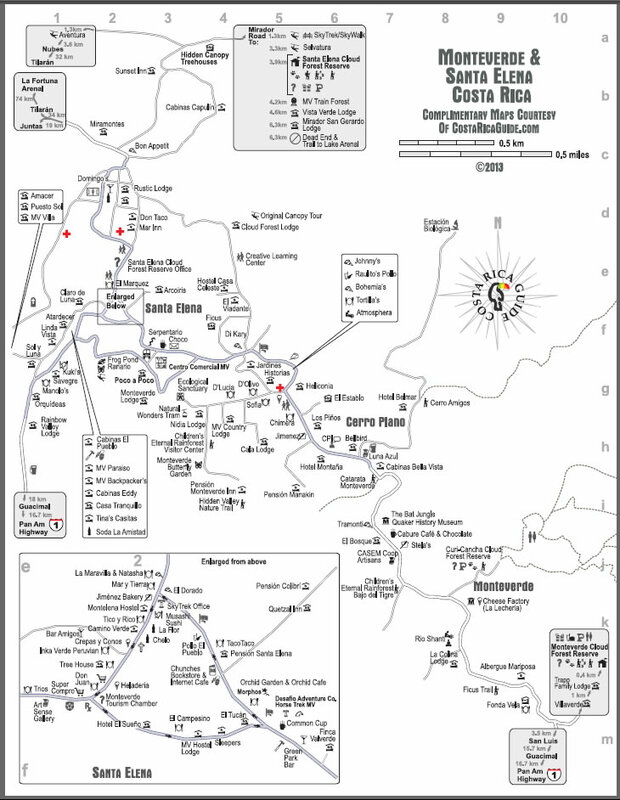 An inset has a detail map for the village center with necessities like laundries, medical centers, internet access, police stations, ATMs, and banks. 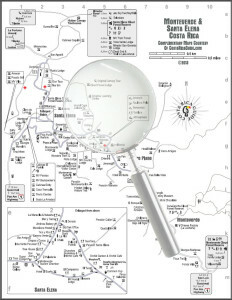 An included second page shows an index and a blow-up showing the routes for getting there. 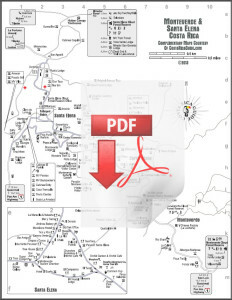 Both pages are automatically downloaded in the pdf. 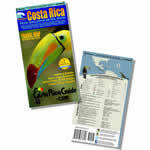 Natural features like streams, rivers, and peaks plus the most popular tour locations are highlighted. 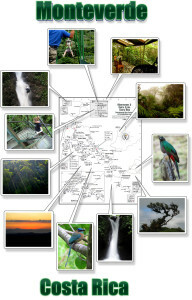 This map includes Monteverde Cloud Forest Reserve entrances, parking, trails, and other attractions.